My beautiful daughter Ellis has returned from her first year of college at Cal Poly, San Luis Obispo. She has most artistically transformed the guest room into a room of her own. I will let Ellis tell you how she created her space. I used the blank wall of clipboards in my room to recreate my "memory wall" that I had in my apartment at school. It's a collage of magazine clips, ticket stubs, cards, and other pieces I've collected throughout the year. I found these little ceramic birds at Urban Outfitters in SLO, and brought them back for the summer. This 1950s radio is the newest addition to my room. I found it two weeks ago at a flea market in Orange County for $5.00, which was an incredible deal for such a vintage piece. The colors in my room come from the various items I have collected over the years. From my snow globe from New York City to my vintage Candy Land lunch box, I am in love with each and every thing that sits on my shelves. This is a quilt I bought at Urban Outfitters as well as a handmade blanket I found at a local flea market several years ago. Meet Snuggles, my special, treasured bear. Originally, my boyfriend received him in a care package earlier this year when he was sick. On the last day of school, he gave him to me so I would have a snuggle buddy during the summer. This is probably my favorite vignette in my room. The lamp, which I originally used for late night studying, now sits on top of a piece of beach wood that I found at a local beach. The recycled bottle filled with peonies completes the adorable trio. I love this floral pattern from my Urban Outfitters quilt. It is one of many prints on the quilt, creating a collage of flowers on my bed. 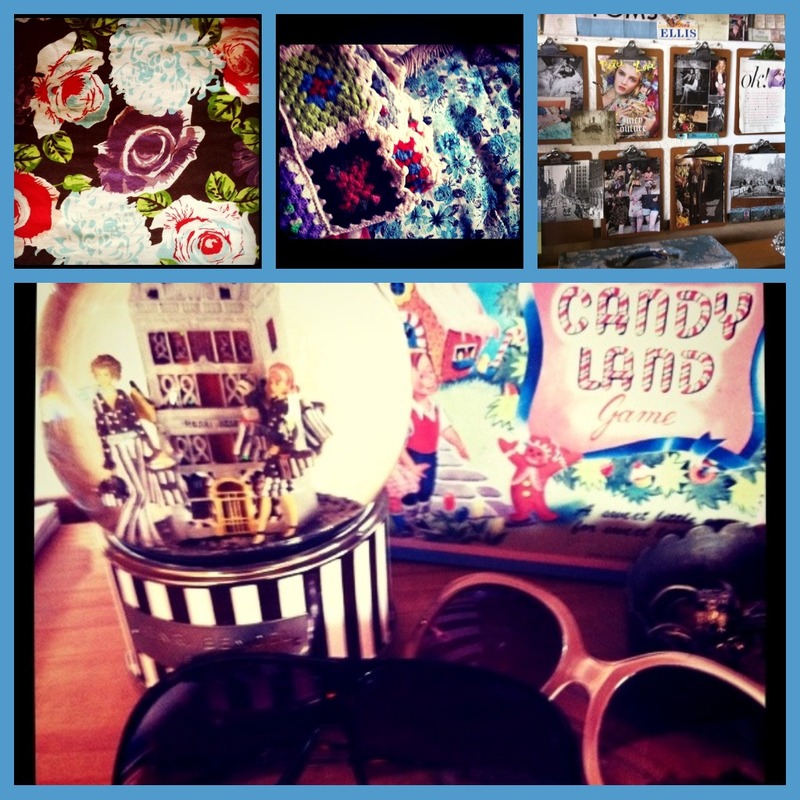 Because of my love for each piece in my room, they all seem to fit together quite nicely. 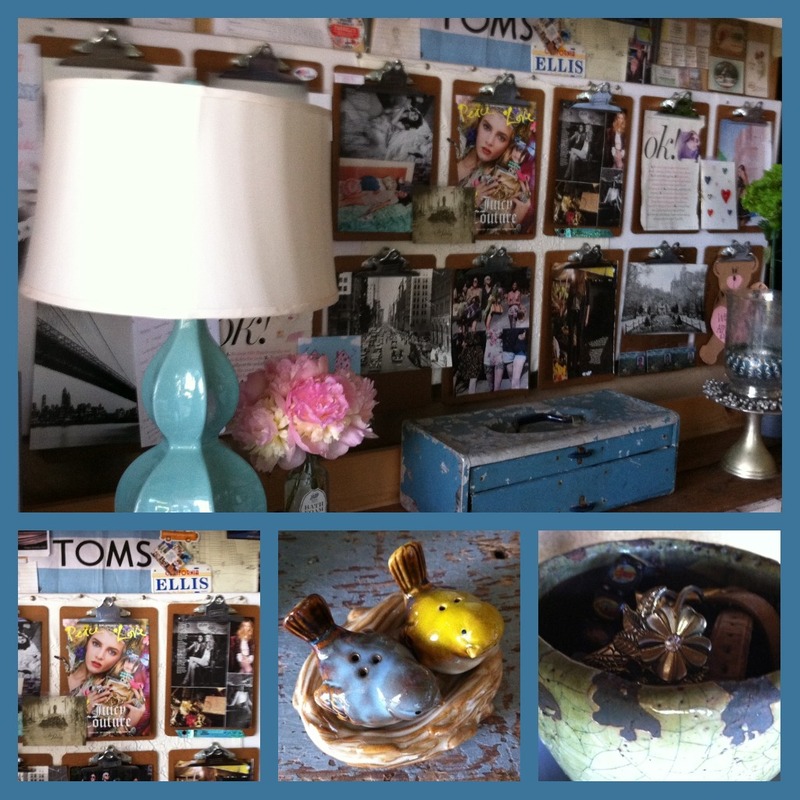 Throughout the summer, I hope to be adding some more items, whether they be found at weekend flea markets or Urban. Since coming home from school, my memory wall has even continued to grow. Who knows, maybe a few new birds or flowers may make it onto the shelves by the end of the week. Love the way you've brought home your favorite things. Your room is so pretty. as usual i'm totally impressed by you ideas, photography, decor, jewelry,...etc.But bringing it all together here... is a work of art!!!! Thank you so much Gwen, I really appreciate your comment!